Council provides 18 community centres and halls in the Hawkesbury. Some are directly managed by Council, with the remainder managed by volunteer local committees of management. The role of these Committees is to manage and promote Council's Community Centres and Halls. Community centres vary in size and the facilities that they offer. Each centre aims to provide services and activities that appeal to a broad cross-section of the community. Listed below are council owned Community facilities & their details for hire. The hall is surrounded by bushland but with close residential neighbours so noise & time restrictions apply. The kitchen is a large domestic style with stove & oven & the hall can seat a maximum of 100. It is ideally suited to workshops, presentations, plays, musical recitals & other cultural activities. It has been used for Tai Chi, Pilates, Yoga, group exercise training, Bridge lessons, Polling Booth, Theatre Company,Flower Show, art classes, government information & various exhibitions & has many more uses. 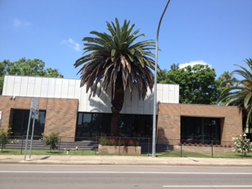 The neighbourhood centre is located next to the Bligh Park Shopping Centre. The adjacent car park provides parking for 40 vehicles, with additional street parking at the front of the centre. Tiningi Community Centre is located on the corner of Colonial Drive and Rifle Range Road, Bligh Park. Bowen Mountain Park overlooks the Macquarie Towns of Richmond and Windsor and is central to the surrounding Bowen Mountain area. The park, about 450 metres above the Hawkesbury plain, offers panoramic views across the coastal plain from the dividing ranges to Blue Mountains National Park. Horrie Eley Memorial Hall is located next to the Colo Heights Rural Fire Brigade shed and Colo Heights Public School in Colo Heights Reserve at Colo Heights. Hawkesbury Leisure and Learning Centre is set in the centre of Richmond, close to the shopping precinct and the train station. Surrounded by parkland Kurrajong Community Centre is located in McMahon Park, Kurrajong.